Here at Church of Our Saviour we lift up the gifts that each of us has to offer our community. And while many of us are still young at heart, individuals aged 19-35 comprise our group of young adults within the Episcopal Church. Our young adults represent the college, single young professional, married, and married with a family experience. They are allies, members of the LGBTQ+ community, cradle Episcopalians, converts, and a group that sees the beauty in the diversity of the church and our community. 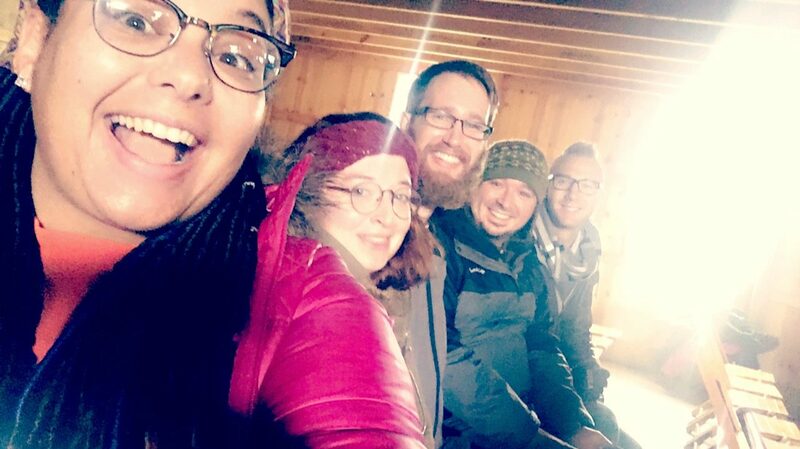 Many of our young adults are involved in various ministries at the parish, diocesan, and wider church levels and we gather together as a group for fellowship and to brainstorm ways that we can further share our unique gifts with the church. As individuals some of the ministries our young adults are called to serve in are choir, altar guild, Dinner on Us, acolyte, chalice administrators, and various community outreach projects. As a larger group, one way the young adults have shared their passion and gifts was in their enthusiasm for our parish being involved in Akron’s first Pride parade. They coordinated a carpool, created t-shirts and a banner, and led their fellow parishioners down W. Market St. towards Hardesty Park for the Pride events. As a denomination that affirms and welcomes all people, the Pride parade was a wonderful opportunity for our parishioners to live out their baptismal covenant in a fun and enthusiastic way! Beginning in 2018 a Young Adult Council will be formed. This Council will meet regularly with the rector to discuss, from the perspective of the young adults, what our church might look like in the future and where our gifts can be best utilized in living out the parish’s mission. All voices are worthy of being heard and this Council seeks to continue with our parish’s legacy of inclusivity of all in ministry and the life of the church.